I'd thought a lot about a new series I can add to this blog and finally came up with the one that I think would fit perfectly. From now on, in "People who inspire me" I'd be sharing one person at a time who - you guessed it - inspires me! Well, jokes aside, I'm constantly finding new amazing people on the Internet (photographers, bloggers, writers, etc. ), and I really want you to know about them too. Well, the first character to appear here is Negin Mirsalehi. I've been following her blog and instagram for over 2 years now, and I can definitely say that besides just being stunningly beautiful, Negin also has an amazing personality. She's recently launched a YouTube channel and by watching her weekly vlogs you can instantly feel her positive energy even through the screen. One of my favorite things is to watch all of her travel experiences, both on instagram and YouTube. 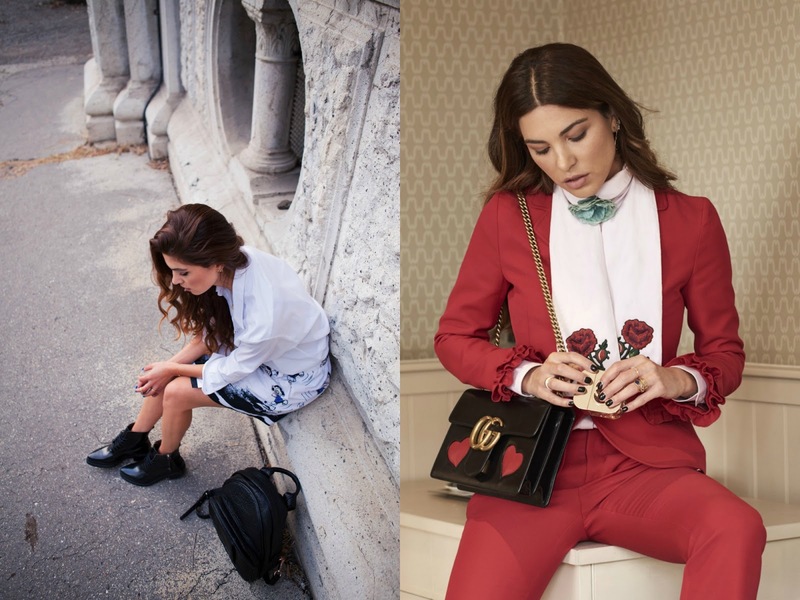 Expect to see lots of stunning shots from around the world along with amazing outfits on Negin. Let me know your thoughts, do you want me to continue this series? Who would you like me to feature next: blogger, photographer or someone else?